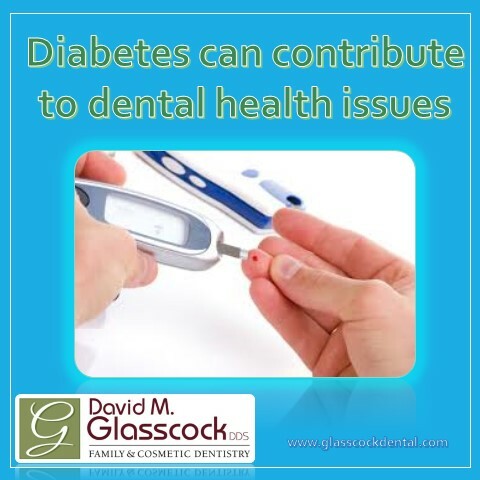 Did you know diabetes can contribute to dental health problems? Research shows that there is an increased chance of gum disease among people who have diabetes. Nearly 30 million Americans have diabetes and 86 million Americans have prediabetes according to the American Diabetes Association. As a person with diabetes, being susceptible to gum disease adds to a long list of associated complications that can occur. Heart disease, Neuropathy, Eye Damage, Foot Damage and Kidney Disease are just a few complications that are affiliated with this disease. How Does Gum Disease Affect a Person with Diabetes? Research suggest that people with diabetes are more susceptible to serious gum disease. Serious gum disease has the potential to affect blood glucose levels and contribute to the advancement of diabetes. Gum disease is more prevalent with people with diabetes because they have a decreased ability to fight bacteria that penetrates the gums. With less ability to fight infection a bacterial infection can occur in the mouth or gums. If your blood glucose levels are poorly controlled, you are at a much greater risk to develop gum disease and lose teeth. Poorly controlled blood glucose levels damages blood vessels and overtime will cause hardening and narrowing of the arteries. Other oral problems associated with diabetes are thrush, dry mouth, ulcers, infections and cavities. How do I Reduce my Risk of Gum Disease with Diabetes? The most important thing to remember is to control your blood glucose levels. Poorly maintained blood glucose levels are dangerous as it can effect much more than your oral health. Next, take good care of your teeth and gums. Daily brushing and flossing is imperative for healthy gums and teeth. Finally, make regular checkups at your dentist every six months. If you have diabetes, make sure to inform your hygienist and dentist. People with diabetes have special needs. Your dentist and hygienist will make sure they meet those needs.